We offer a delicious line of Ayurveda inspired organic turmeric teas that heal you from within and help fight hunger, one cup at a time. 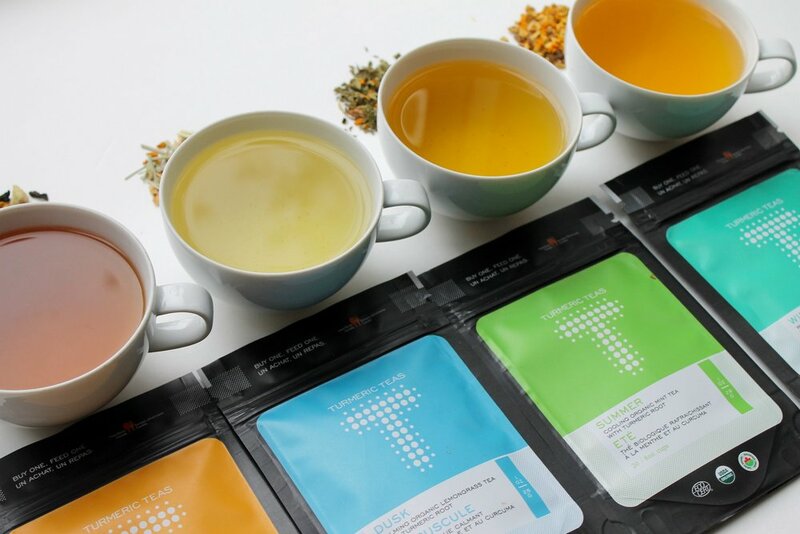 Our loose leaf tea blends help you energize, relax, cool off or warm up. Our JOY turmeric latte blend will vitalize your body and mind. We are a Buy One, Feed One venture - with every purchase of our tea, we donate money to feed a person in need.